It’s funny where you find inspiration. Yesterday I posted a picture on Facebook of me and my dog from the mid-80s and was struck by the Clarks navy T-bar Mary Janes I was wearing in the photo. I remember my mum always insisting that I wore well-fitting school shoes – which I hated at the time because I wanted the red shiny ones the popular girls had – but now not only do I have relatively nice feet that aren’t disfigured by ill-fitting shoes, I also find myself strangely drawn to the similar styles available at the moment. 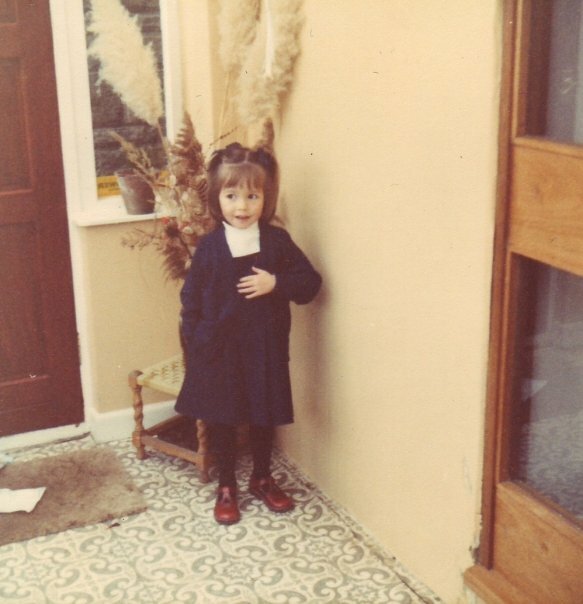 Here I am, aged four, on my first day at school. A rare chance, readers, for you to see my face. Anyway, LOOK AT THOSE SHOES! I suspect they were either from Clarks or Start-right (if it was the latter, I would have been very excited because there was a massive rocking horse in the children’s fitting room) and I know they would have been comfortable. Topshop Marge Mary Jane shoe, £35, topshop.com BUY ME HERE! Topshop has a very similar style in store now. They are the same shade of burgundy (which, incidentally, is tres en vogue generally this season) but are sadly lacking that V-bar that my school shoes have. At only £35 though, you can’t complain. 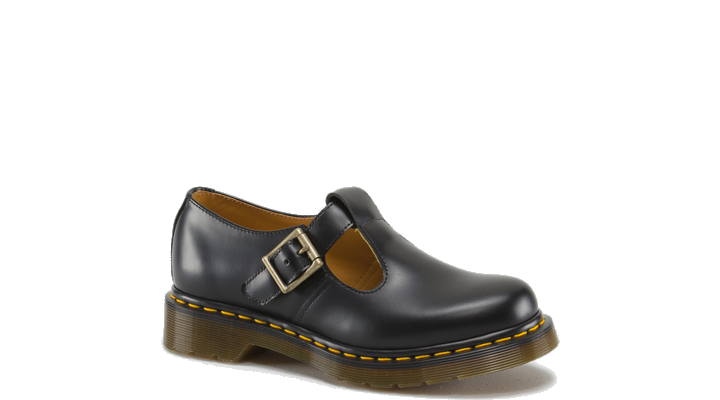 Dr Martens Polley shoe, £90, store.drmartens.co.uk BUY ME HERE! My first pair of Dr Martens were also school shoes, before I progressed to my eight hole cherry reds in the sixth form, but were lace-ups rather than the T-bars you see here. 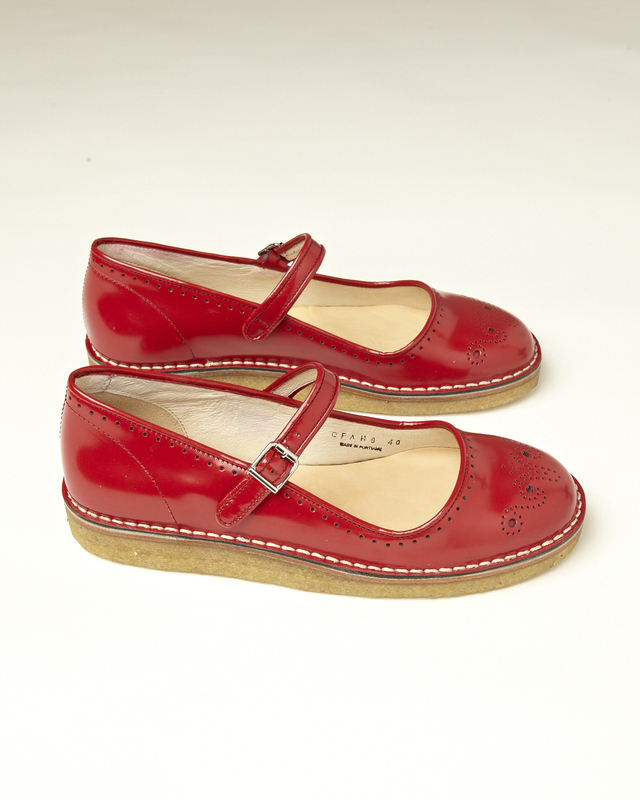 This built up sole gives them a childlike proportion and I think they’d look great with grey ribbed tights. YMC Mary Jane platform, £195, youmustcreate.com BUY ME HERE! This last pair, from YMC, is my favourite. They do come in a uniform-friendly navy but these red ones are much more exciting. Plus I think four year-old me would have thoroughly approved. The funny thing is, I think the one person who wouldn’t approve of me wearing chunky Mary Jane shoes as an adult is my mum. Sometimes, you just can’t win! Oooh I had the same ones in the 70s. Clarks. And I had the Dr M version in the 90s. Ooh I just bought a pair of very ‘special’ flat shoes in Office, like the ones my uncle used to wear to correct his hip op with the ‘invisi’ heel. Love them.